Langenargen, Germany – 24 May, 2012: Phil Robertson and new Tour Card Holder Pierre-Antoine Morvan made the most of a difficult first day’s racing at Match Race Germany in Langenargen, posting three wins from three. “We’ve just started working together so we are still settling into this relationship. We’ll judge how well it is working after the first couple of events and decide whether it’s something we want to pursue for the full season. Morvan showed few nerves coming into his first event as Tour Card Holder, even before heading out onto the water, saying: “The plan is to learn this year, podium next year, and win in two years.”He backed up that self-confidence by taking victory in all three of his early flights. Jan-Eike Andresen (GER) MRV Match Race Team is here flying the flag for the host nation but has left himself with an upward climb to reach the quarter-finals after losing three from three. A tough opening session against three Tour Card Holders, including 4-time World Champion and 3-time Match Race Germany winner Peter Gilmour, did not hand him the kindest of days. Andresen can consider himself unlucky in his first race, losing by a margin of only four metres to Robertson. “It was a bit like David v Goliath today as we faced some strong opposition, but we felt we performed well and were a bit unlucky, especially in the first match against Phil [Robertson]. The second Qualifying Session starts on Friday 25 May at 0900 local time (CDT). For live updates and Twitter feeds visit http://www.wmrt.com/live.html. 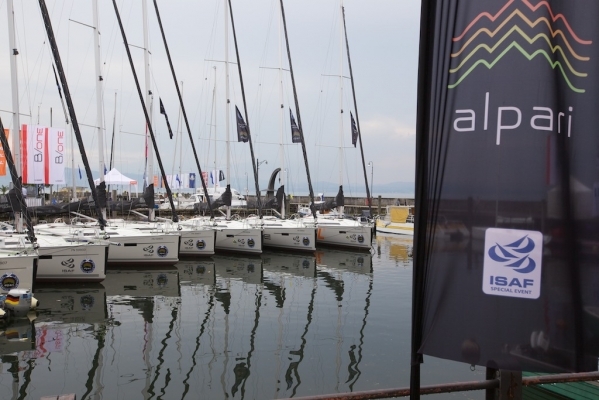 Video coverage of the action will be shown on Saturday 26th – Monday 28th from 1400 – 1600 local time (CDT) and race by race updates can be followed at http://new.livestream.com/WorldMRT/germany.